Cruises are one of the most popular vacation types, and they can be some of the most expensive. Each year, from January through March, travelers are offered a variety of hot deals on cruises for the year. This period is known as Wave Season. Each Wave Season, many travelers consider travel insurance to protect their trip investment, and themselves, during their vacation. Squaremouth explains the best travel insurance for cruises. Medical treatment on a cruise ship is often significantly more expensive than travelers receive at a normal doctor or hospital. Even common illnesses like a respiratory infection can cost more than $1,000 to diagnose and treat onboard a cruise ship. 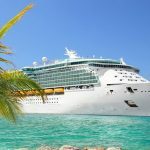 Because of this increased cost, Squaremouth recommends cruisers purchase a travel insurance policy with at least $100,000 in Emergency Medical coverage. This benefit can reimburse the costs of treating a medical emergency that incurs while traveling, including physician services, hospital fees, x-ray examinations, ambulance services, and medication costs, among others. Many cruise travelers are worried about being evacuated in case of an emergency while at sea. The Medical Evacuation benefit can transport travelers to the nearest hospital in the event of a medical emergency. This includes emergencies that occur while at sea, during an excursion, or while at port. Squaremouth recommends a policy with at least $250,000 in Medical Evacuation coverage for cruisers. In addition to transportation to the nearest hospital, this benefit can transport travelers back home for better care if the treating physician deems it medically necessary. Should I Buy Travel Insurance From My Cruise Line or Somewhere Else? Squaremouth always recommends the least expensive travel insurance policy that matches a customer’s coverage needs. For that reason, we suggest comparing your cruise line’s policies to the policies offered by a third-party site like Squaremouth.